Welcome to Literary Hoots for this stop in the blog tour of The Explorers: The Door in the Alley! I'm excited to share my thoughts on this most adventurous of adventure stories. And talk about a pig in a teeny hat, of course. "This is one of those stories that start with a pig in a teeny hat. It’s not the one you’re thinking about. (This story is way better than that one.) This pig-in-a-teeny-hat story starts when a very uninquisitive boy stumbles upon a very mysterious society. 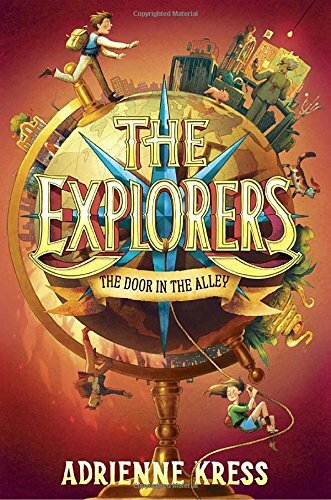 After that, there is danger and adventure; there are missing persons, hired thugs, a hidden box, a lost map, and famous explorers; and there is a girl looking for help that only uninquisitive boys can offer."